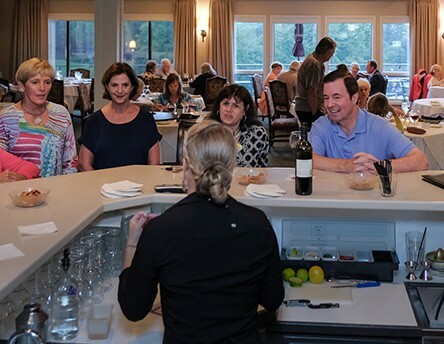 High Meadows clubhouse offers a full service food and beverage department — the heart of our dining and social commitment to our members and friends. Chef Tony and our knowledgeable staff are dedicated to culinary excellence and impeccable service. Our goal is to exceed your expectations. Join us for breakfast, light snacks, and burgers at the Hummingbird Grille or adult beverages at the Side Door Lounge. 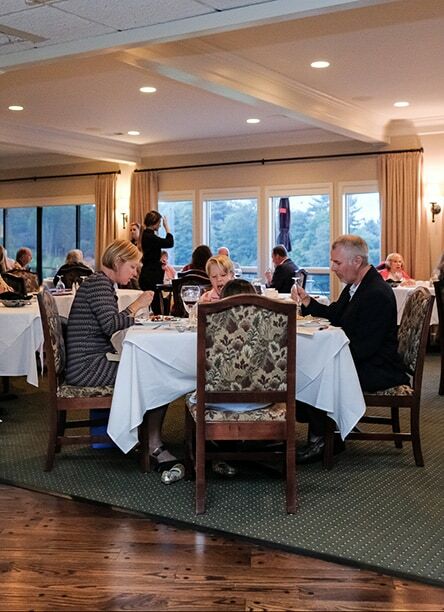 If casual or elegant dining is what you're after, we'll see you in the Dogwood or Redbud dining rooms with magnificent sweeping views of the 1st and 18th holes. The Dogwood and Redbud dining rooms host indoor seating, as well as covered terrace dining, and offer nightly as well as weekly specials. Both are the perfect setting for date nights. Our dining rooms and the grand ballroom, featuring a fireplace, are also available for special events and holiday celebrations. Our food and beverage director will work with you to make your special event a success. Customize your selections with our chef and host the perfect bridesmaid luncheon, rehearsal dinner or wedding reception. Whatever your event, High Meadows Golf and Country Club will make it one you and your guests will never forget! No matter how you choose to dine, candle-light formal or sunlit casual, you won't beat the taste, the service or the smiles! Be sure to stop by the Side Door Lounge and say hello to Angela and the team when you visit the club. This is our main bar and lounge and is available during all dinner service and for member special events. Enjoy a glass of wine from our large selection or your favorite cocktail with friends by the fireplace or catch the end of the big game on one of our two flat screen TV's with an assortment of beer, both domestic and imported. We are all here to serve you and your guests' needs. Cheers! The Hummingbird Grille is located on the lower level of the clubhouse across from the Golf Shop and in the turn. 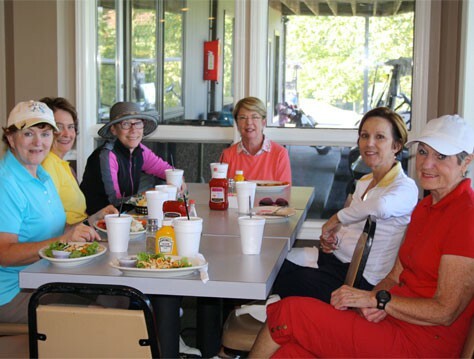 The Grille is an easy, convenient stop for a bite to eat and a cold drink and with a phone on #8 tee box, you can place your order so that your lunch will be ready when you reach the turn! The Grille offers casual dining favorites from a full country breakfast to a simple sandwich with fresh house fried chips, daily lunch specials, hot soups and other High Meadows Golf & Country Club seasonal favorites. Come try all the fresh homemade foods Becky and her team have to offer. Enjoy a break from the course in the air conditioning with our flat screen TV or dine outside and take advantage of the view. Whatever you're hungry for, the Grille team has what you crave! Eat in our take out. May–October hours are Monday–Saturday from 8am to 4 pm and Sunday from 8am to 3pm. November hours are Friday, Saturday and Sunday only, from 8am to 2pm. The Grille is closed from December to early Spring. (336) 363-2773.